Motivate China, specializes in the Meetings, Incentive, Conference and Exhibition, (MICE) business. The company operates across China– offering unparalleled service for both small and large groups. 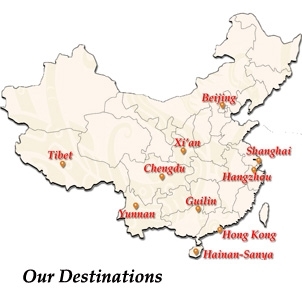 Motivate China understands both the customs and culture of China, and how these can contribute to a successful program that will have your guests talking for years to come. Motivate China is committed to linking the world with China and presenting the best of this beautiful, diverse land to our clients. We welcome the opportunity of introducing you to this ever changing and dynamic country we call home. Contact us now, for more on how we can help you plan the trip of a lifetime!. copyright © 2011 Motivate China Ltd.Co.